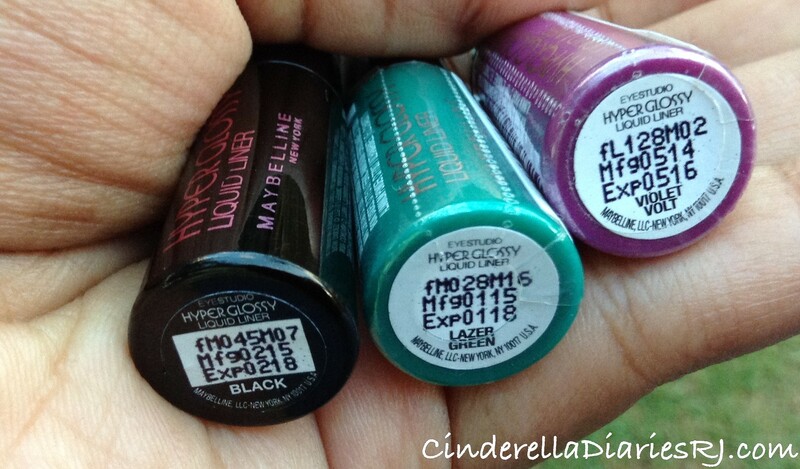 Packaging: Maybelline hyper glossy electrics liquid eyeliner retails in a long black handle with a bottle packaging. The color of the bottle resembles the shade you purchase. 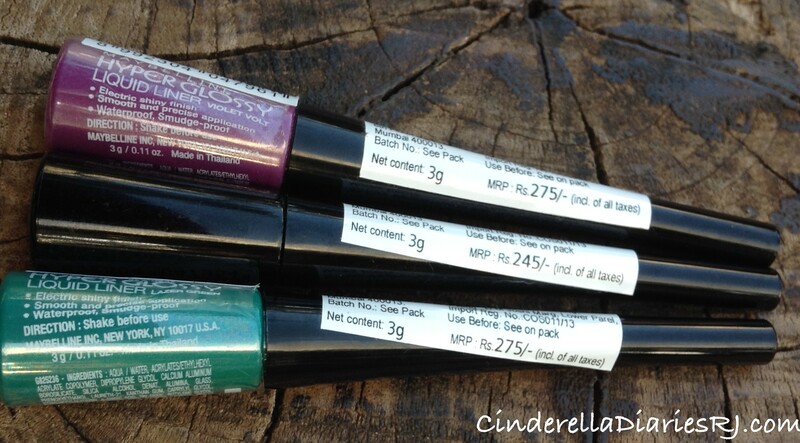 The packaging of the eye liner is very similar to the hyper gloss range. 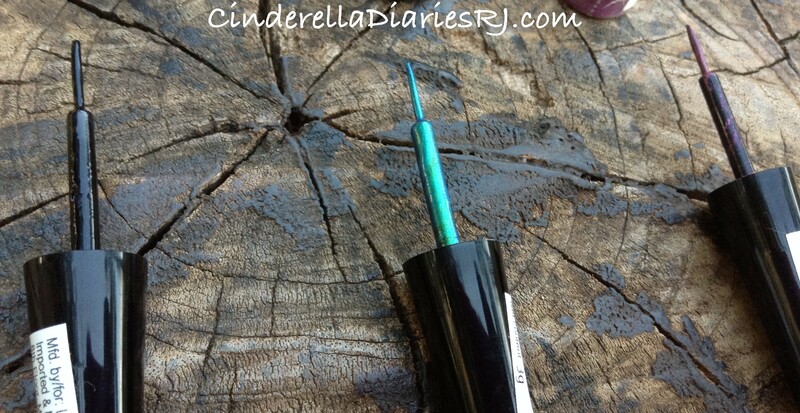 The brush is very long, sleek and is super comfortable to create thick and thin lines. Directions To Use : Start at the inner corner of lid and line along the lash line following the contour of your eye. 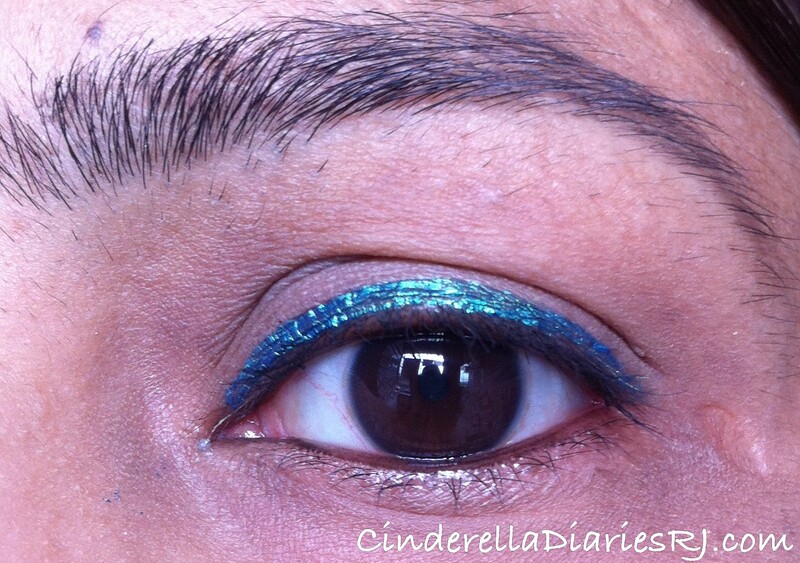 For added drama, apply slightly heavier at outer corners. 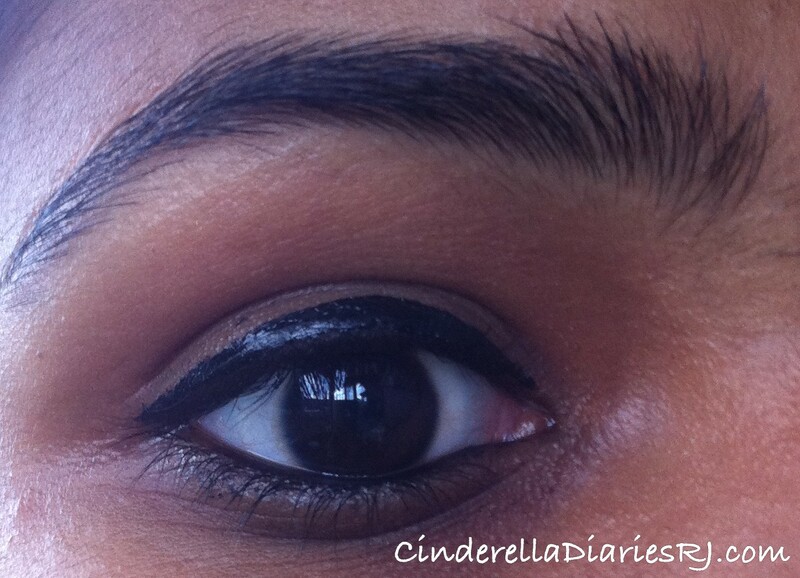 Takes 2 mins to dry, I loved the colossal liner which dries in seconds after application. 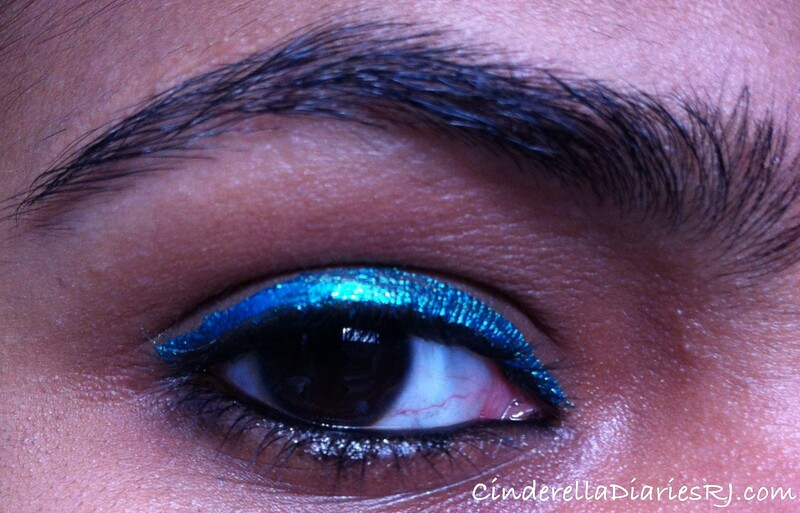 Later Green : The colour of the eyeliner is a gorgeous turquoise color with a duo chrome effect of gold and teal. It is a versatile color and will look stunning against all skin tones. 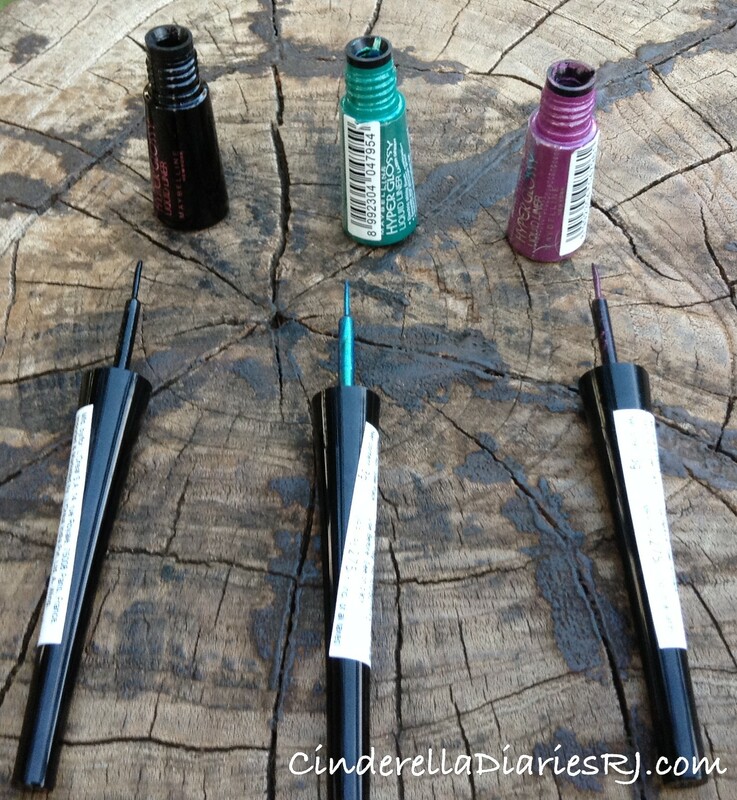 I am really happy with these eye liners as all the colors from the range are very wearable and easy to pull off. Voilet Volt : The shade Violet Volt is a muted violet/mauve shade. It is not a very bright/ bold electric purple color. 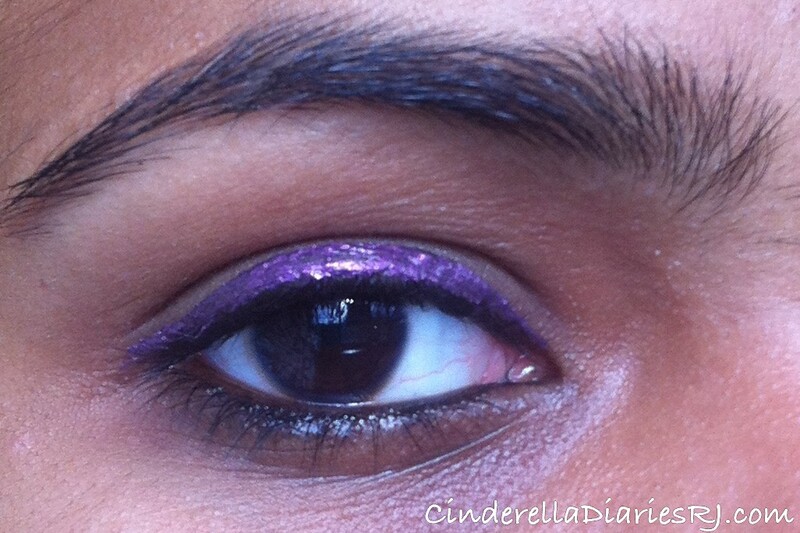 People who haven’t tried any purple liners yet and want to give them a try (like I did), can definitely try this Violet Volt shade as it is not very over the top. The eyeliner doesn’t look too bold and it doesn’t look too dull either. The eyeliner has a glossy finish like the name suggests, “hyper glossy.” People who have dark eyelids can skip it because chances are that it won’t show on their eyelids at all because it is kind of dull.As you can see the color doesn’t show up much on my skin type.